Your wedding day is always one of the most memorable days of your life. 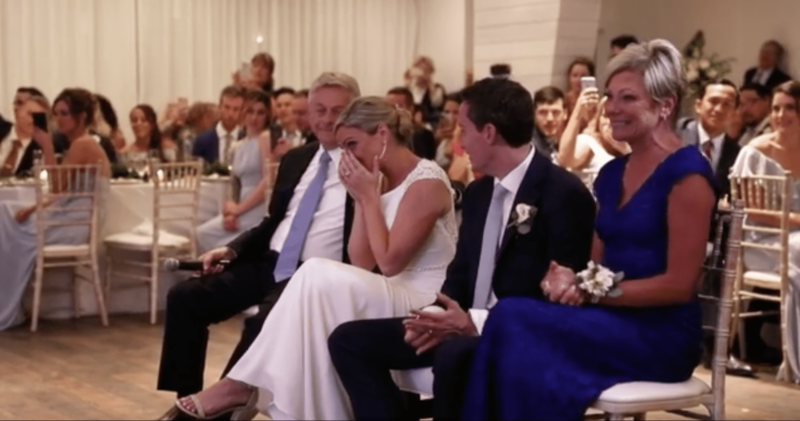 Weddings are filled with love and excitement, and this bride received an especially exciting and unexpected surprise on her special day. At their wedding, New Jersey couple Chris Rowe and Krysten Green were exceptionally stunned when the singer behind the bride’s favorite animated movie, The Little Mermaid, appeared for a surprise performance. 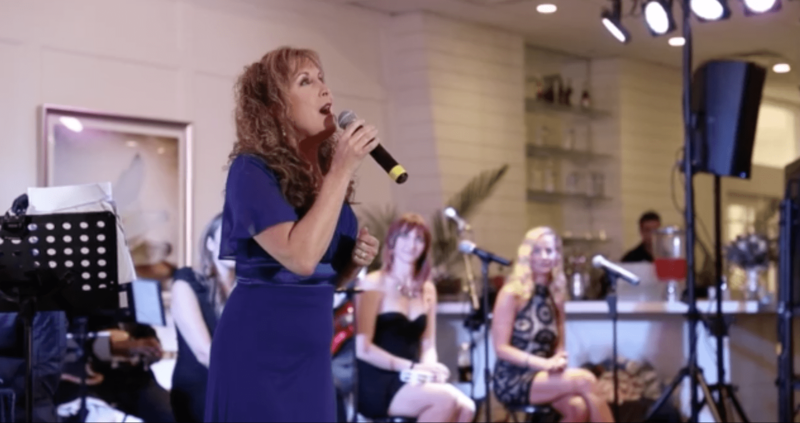 Voice actress and singer, Jodi Benson, frequently known as the voice behind the red-headed mermaid, Ariel, in the Academy Award-winning Disney film, The Little Mermaid, stunned the newlywed couple at their reception. 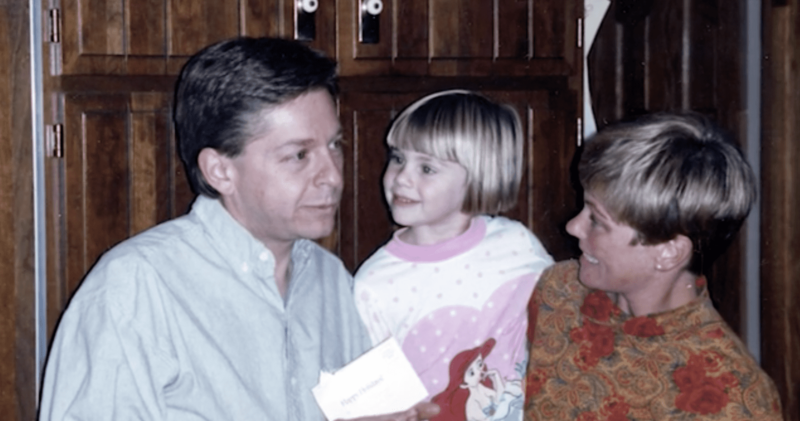 After being asked what her favorite movie was, the bride immediately exclaimed, “The Little Mermaid” and within minutes her father escorted Jodi Benson into the room. Krysten immediately knew who she was and practically jumped out of her own skin. In a priceless reaction, seen below, Krysten was in utter shock when she saw Benson, the magical voice behind her favorite childhood character, right infront of her own eyes. Completely astounded, Krysten sprung out of her seat and hugged Jodie, showing her appreciation for the beloved singer. The two shared an endearing moment of embrace, as Benson congratulated Krysten on her recent nuptials. The father of the bride was a key piece behind the entire surprise, ensuring his little girl’s fairytale dreams became a reality. And there was nothing more Krysten could have asked for on the day she was marrying her Prince Charming. For many young kids, Disney movies become a significant staple of their childhood and The Little Mermaid has always been Krysten’s favorite movie since she was a little girl. So understandably, she was in complete shock when she heard Jodie Benson made an effort to perform for her on her special day. Benson sang, ‘Part Of Your World,’ one of the most prominent songs from the Disney classic. The entire wedding party and guests were entranced by the song as it moved listeners and undoubtedly touched their soul. Redefining what it means to live in a fairy tale, this was the first time Benson sang at an event outside of her family. It was clear that Jodi Benson’s presence and performance made Krysten over the moon on one of the most special days of her life. Krysten was in a continued state of shock, covering her mouth in awe as she sat alongside her parents and enjoyed the singer’s stellar performance. The bride couldn’t help but sing along, clearly stunned that she was experiencing this moment of a lifetime. 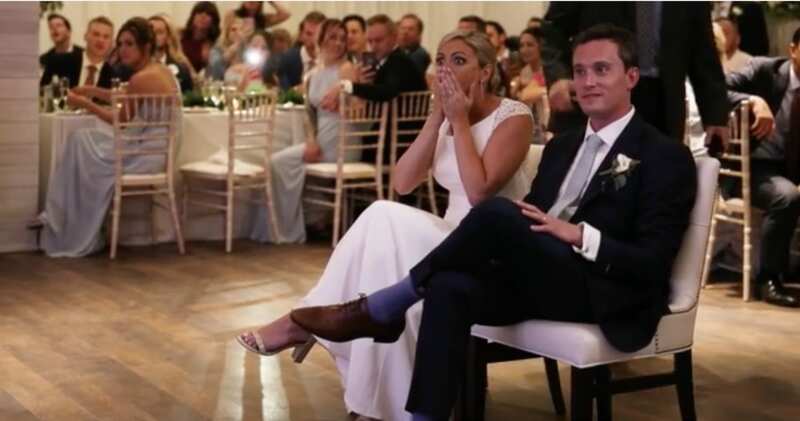 Since the video’s release, it has become overwhelmingly popular, with people from all over the world enjoying the bride’s unique surprise and genuine reaction. The performance concluded with a picture of a young Krysten, posing with her parents and wearing none other than a Little Mermaid t-shirt. Please SHARE this unanticipated performance with your friends and family.